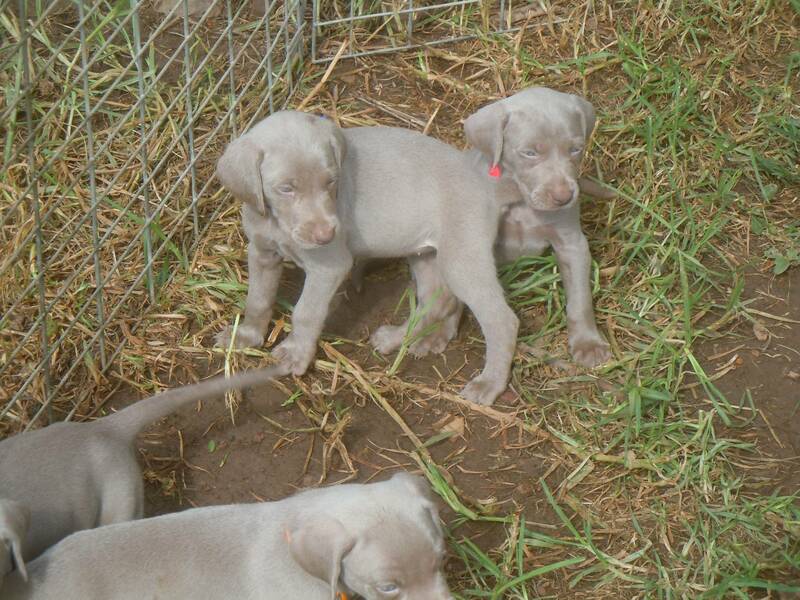 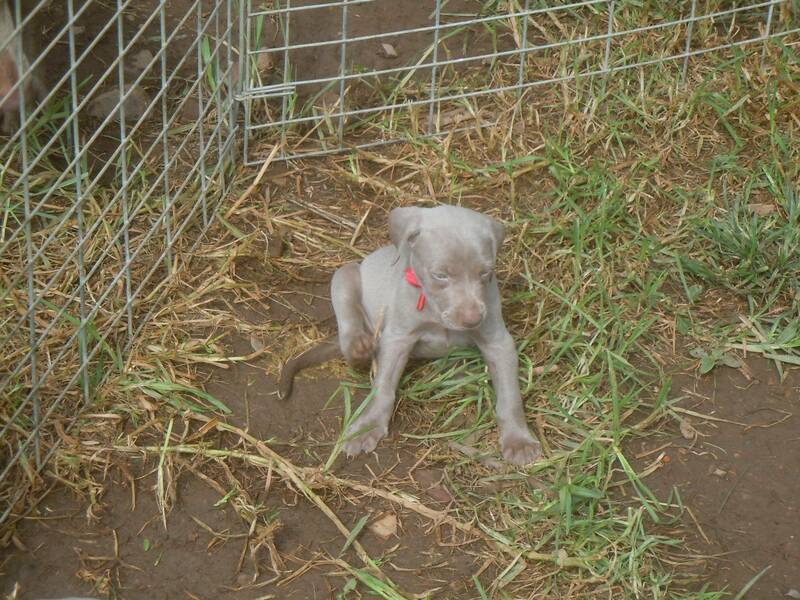 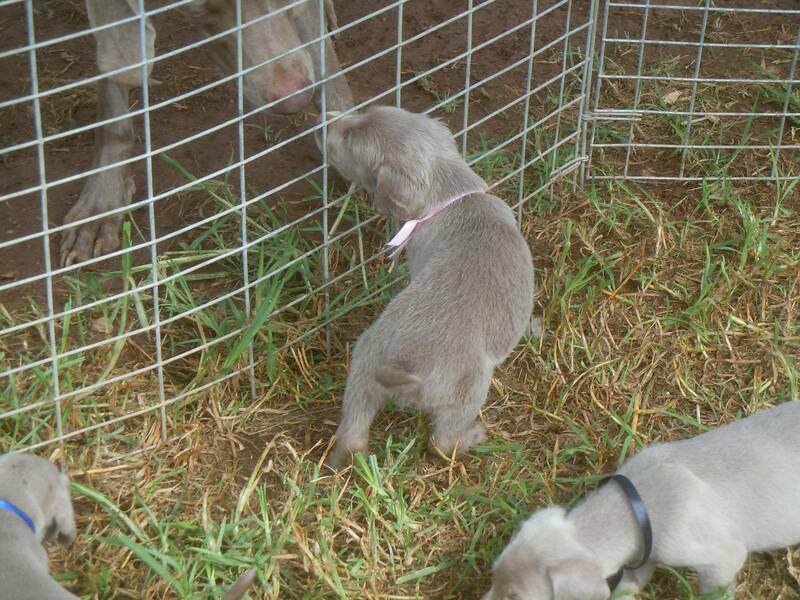 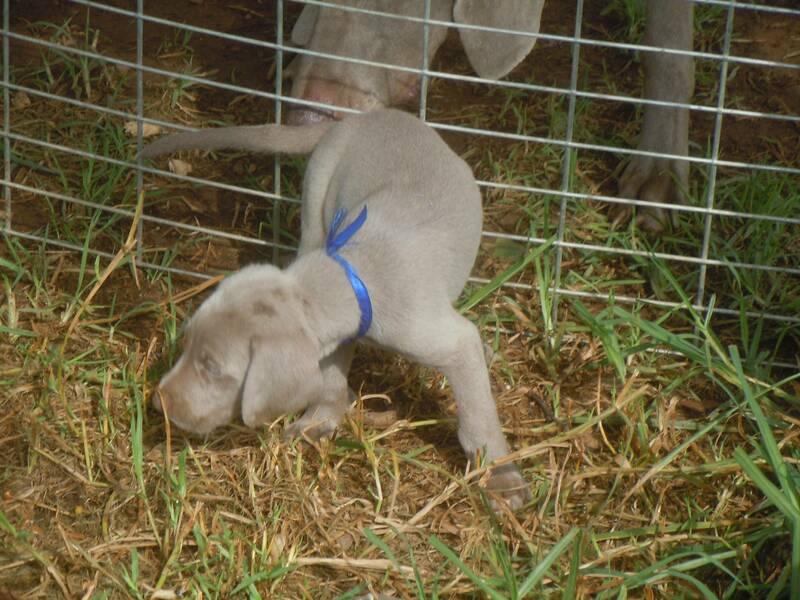 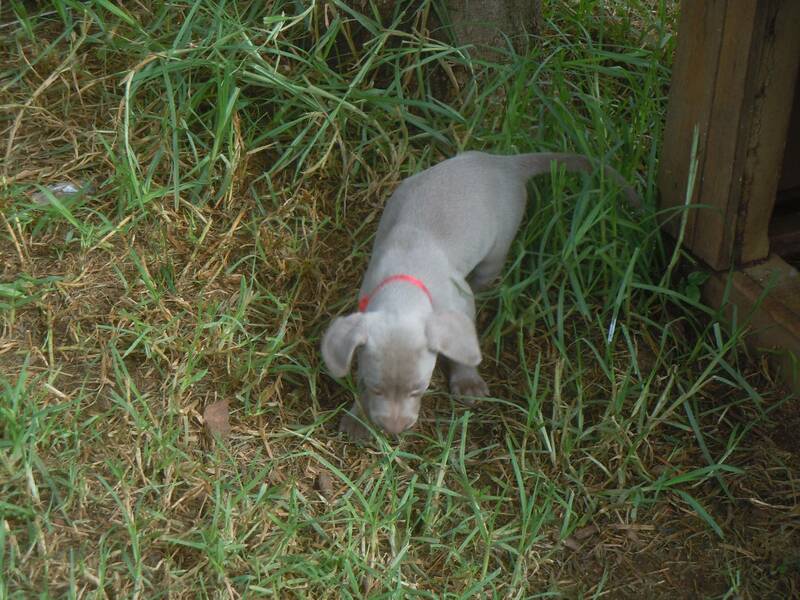 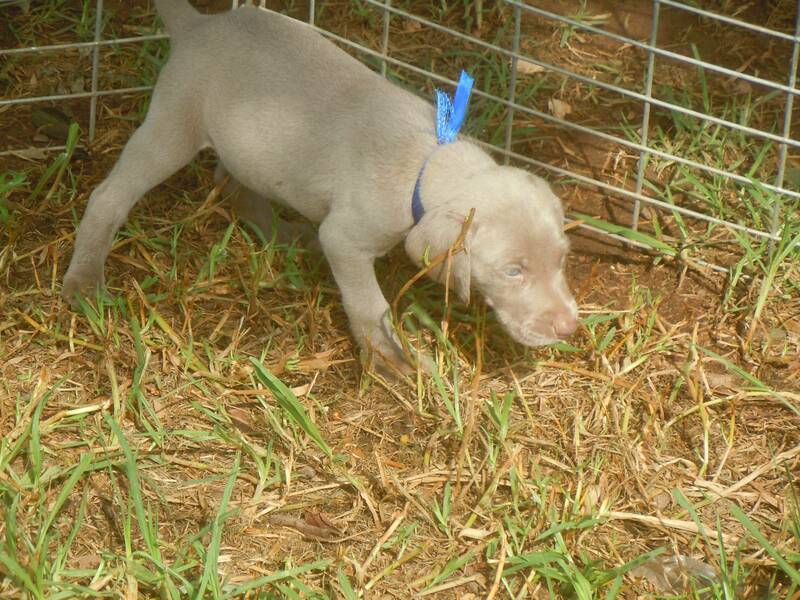 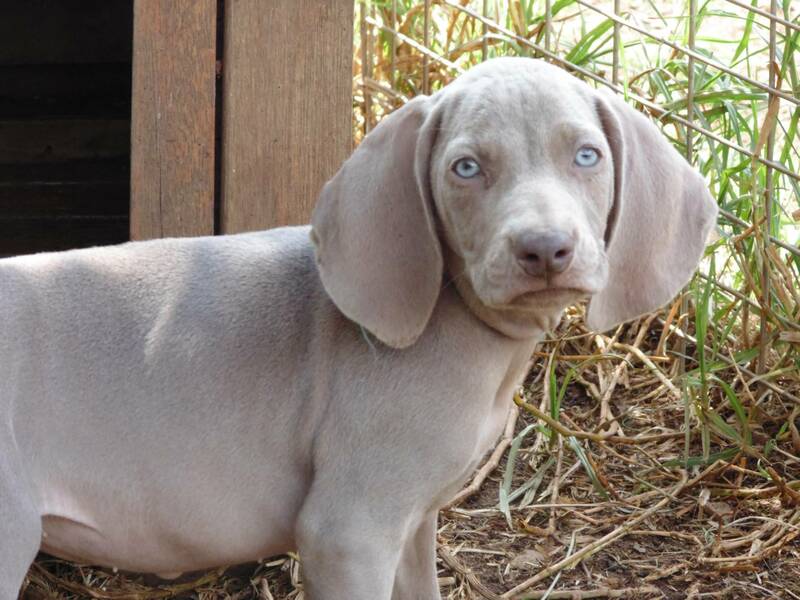 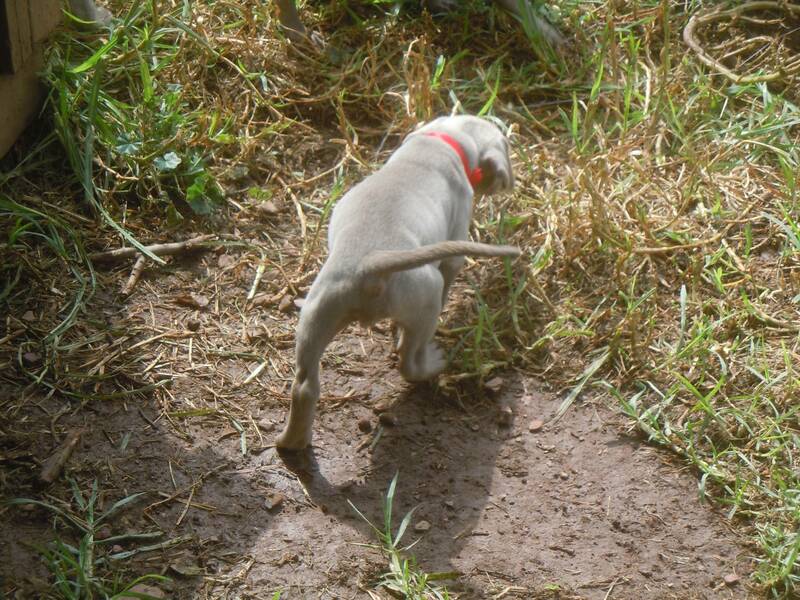 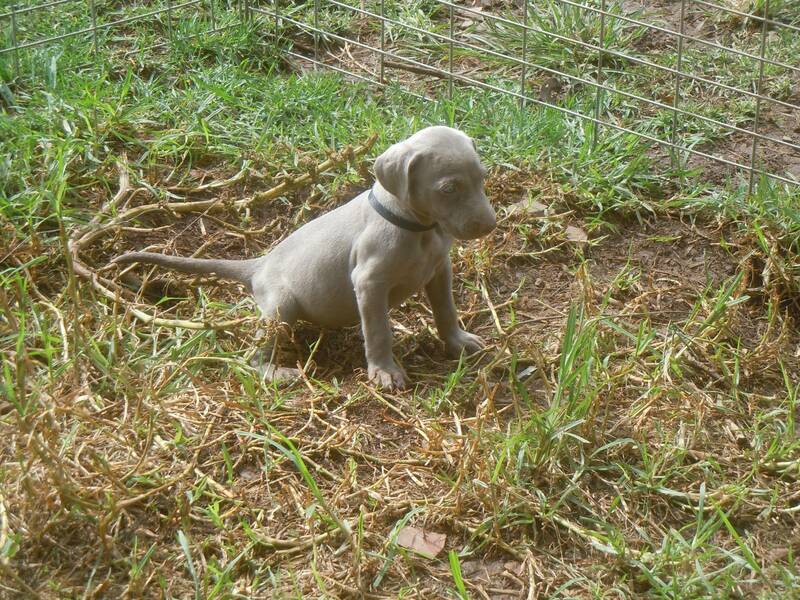 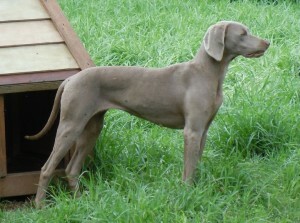 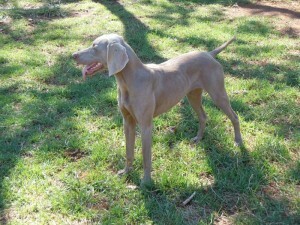 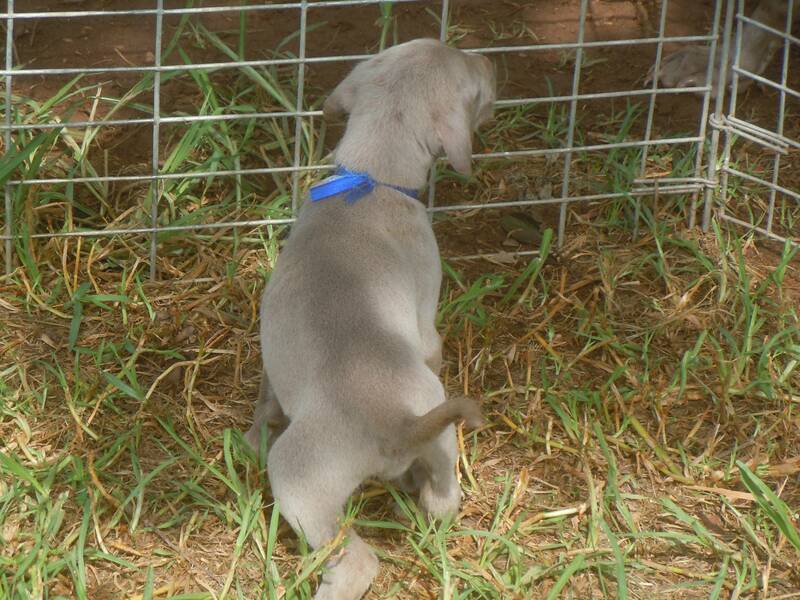 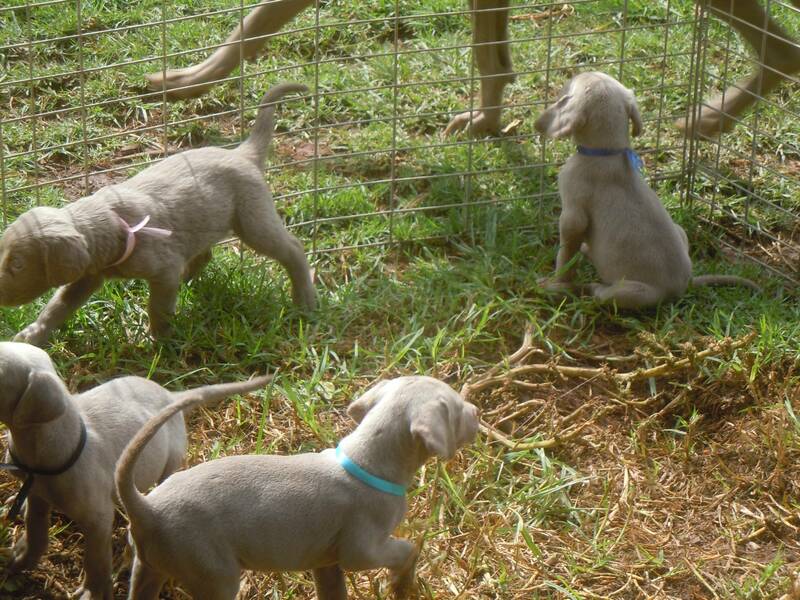 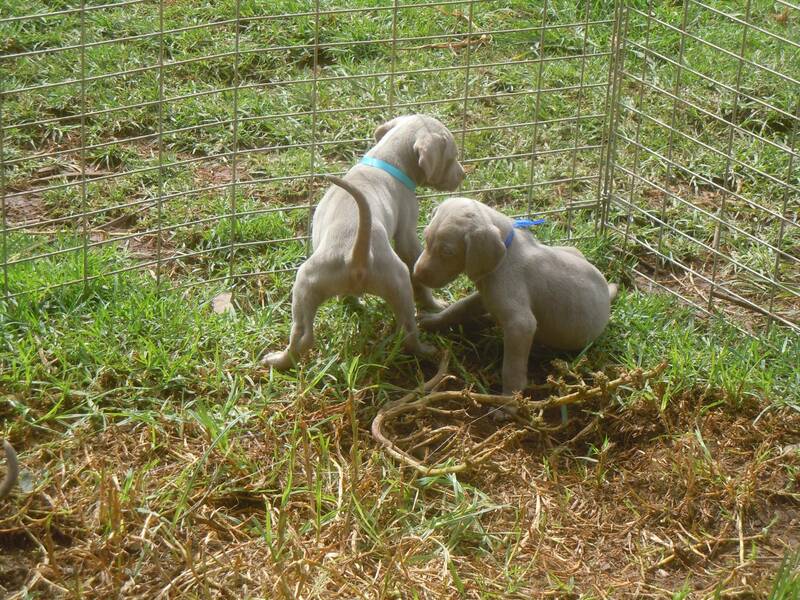 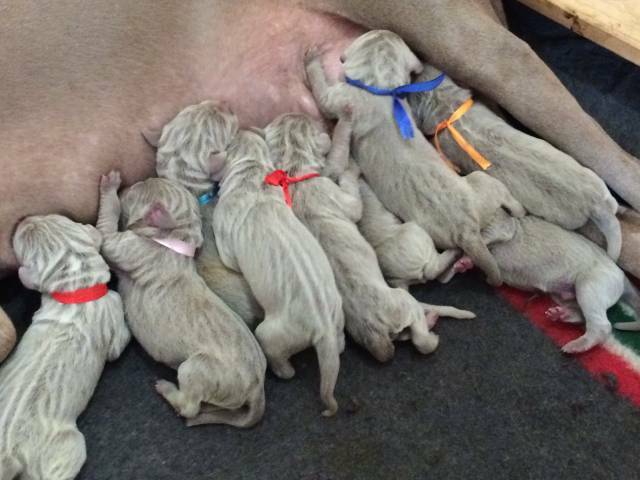 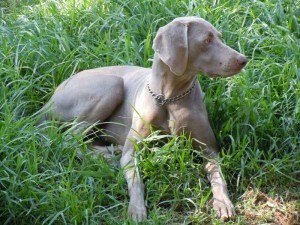 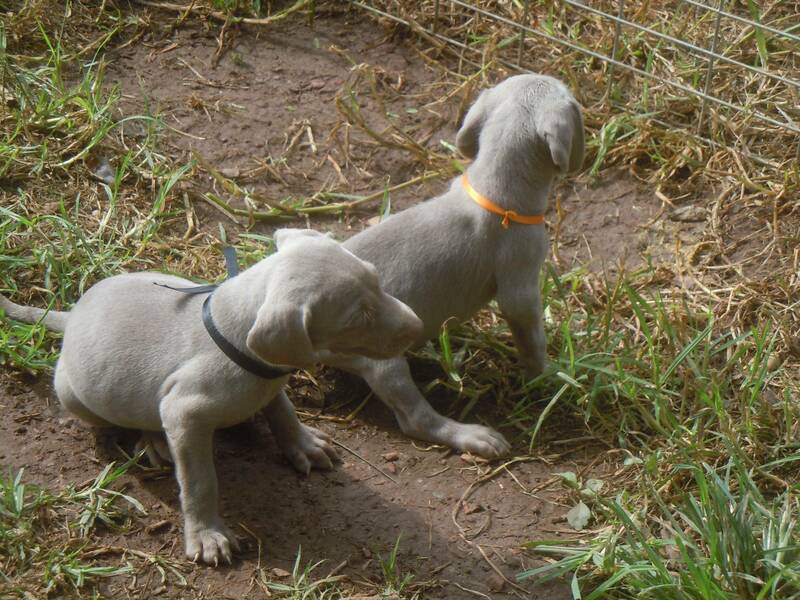 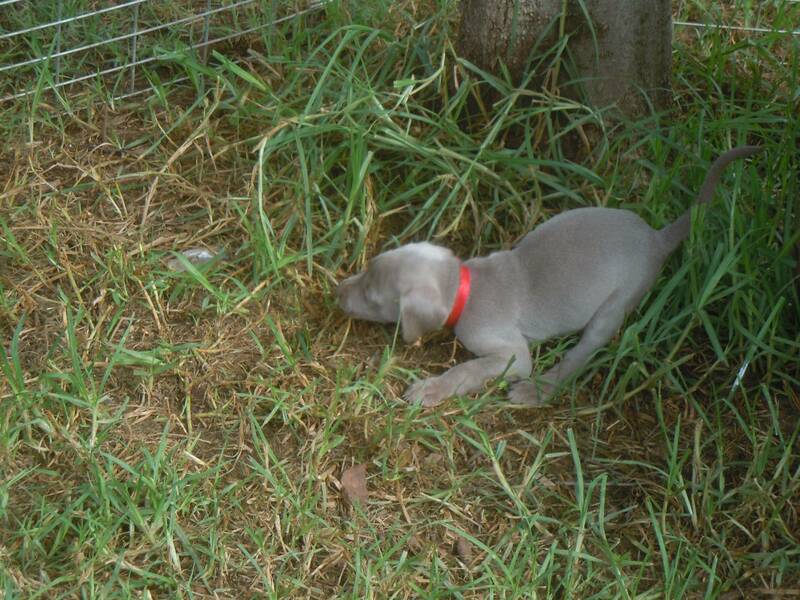 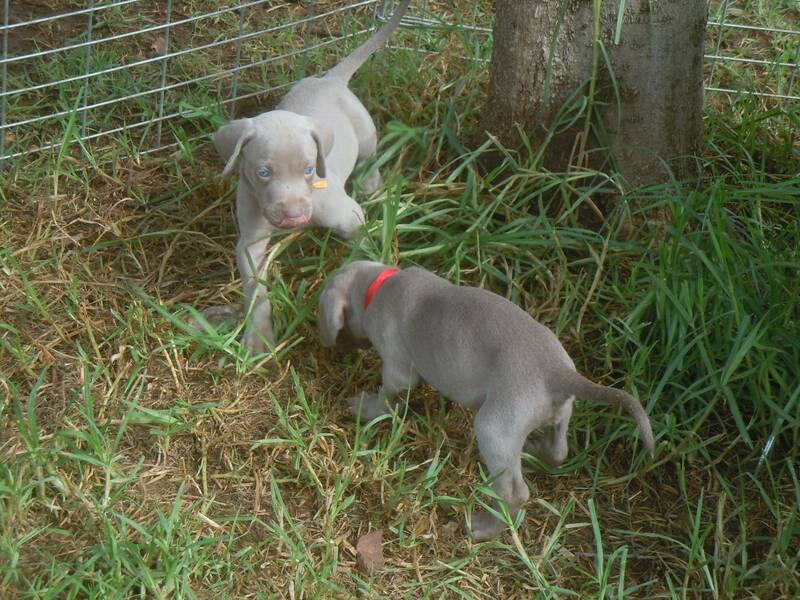 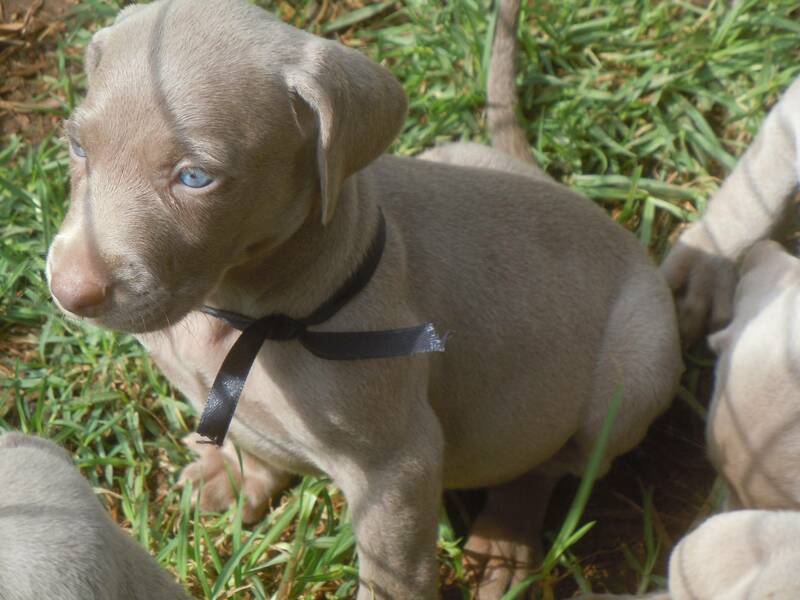 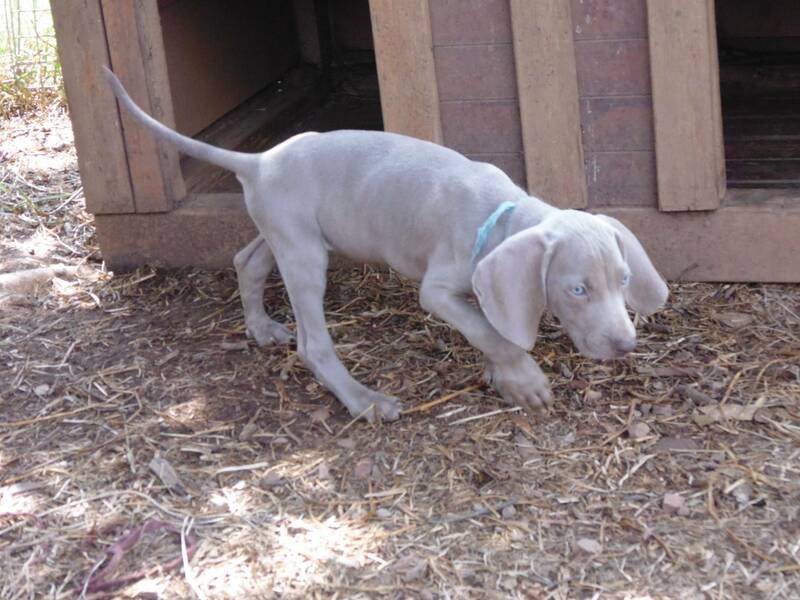 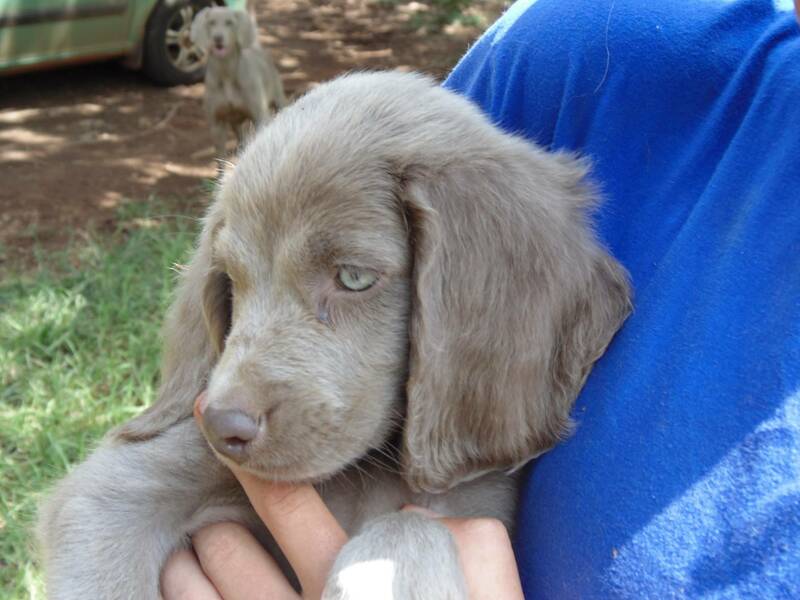 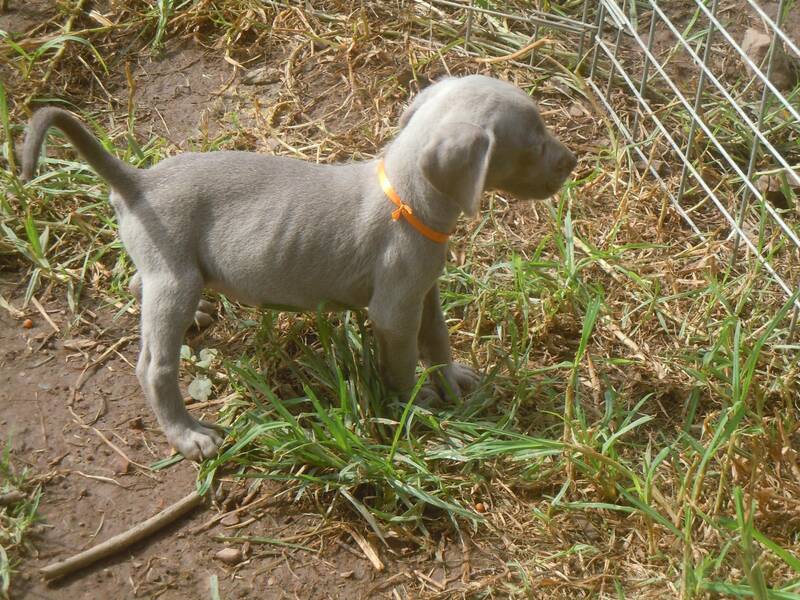 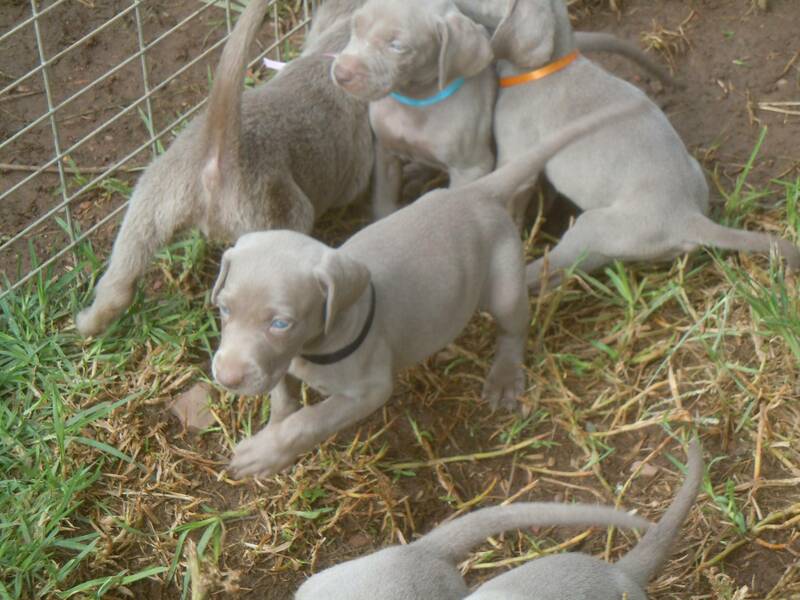 The F Litter weimaraner puppies are now 4 weeks old and have been eating solid food for a week. 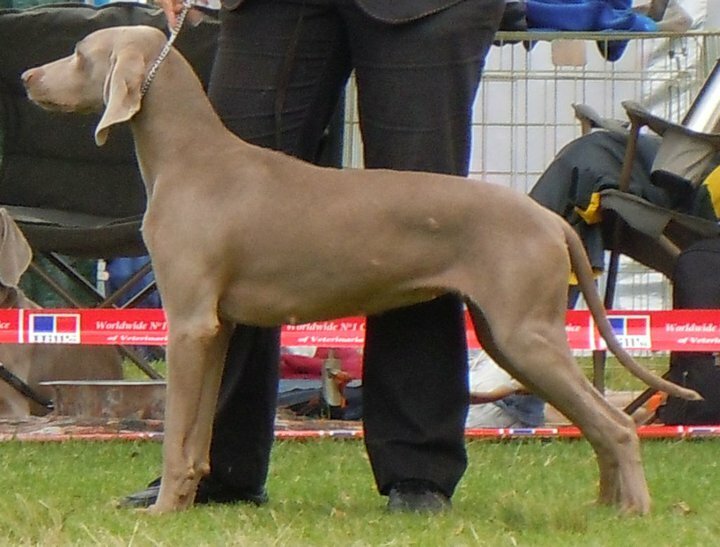 Monsoon comes from an impressive working pedigree – her father was imported from Holland and her mother from Belgium, with both lines coming from German, French, Belgian and Dutch working lines. 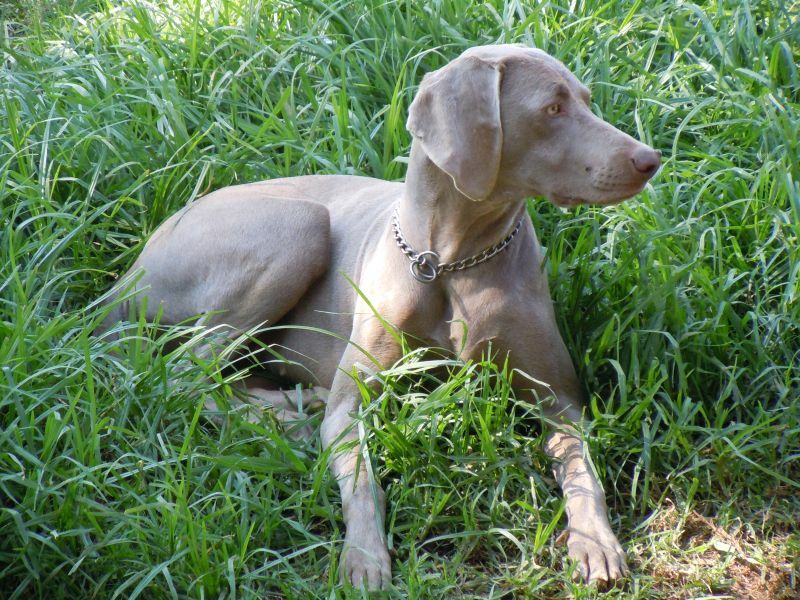 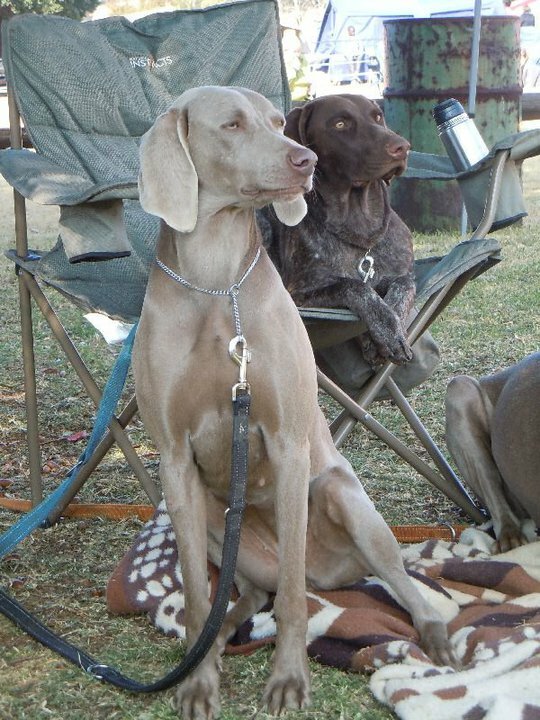 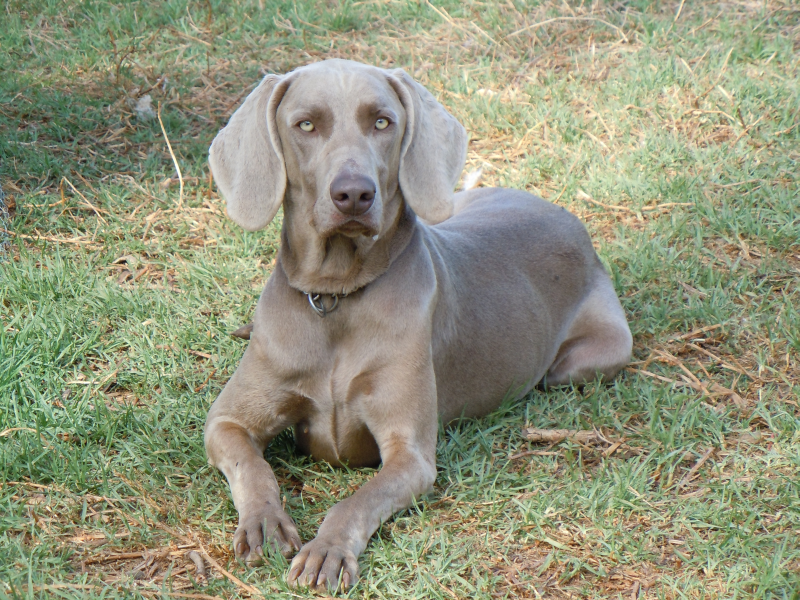 Monsoon did very well in the field with her passing the Novice Shooting Dog and Novice Retriever Dog tests in 2010 at the age of 7 months. 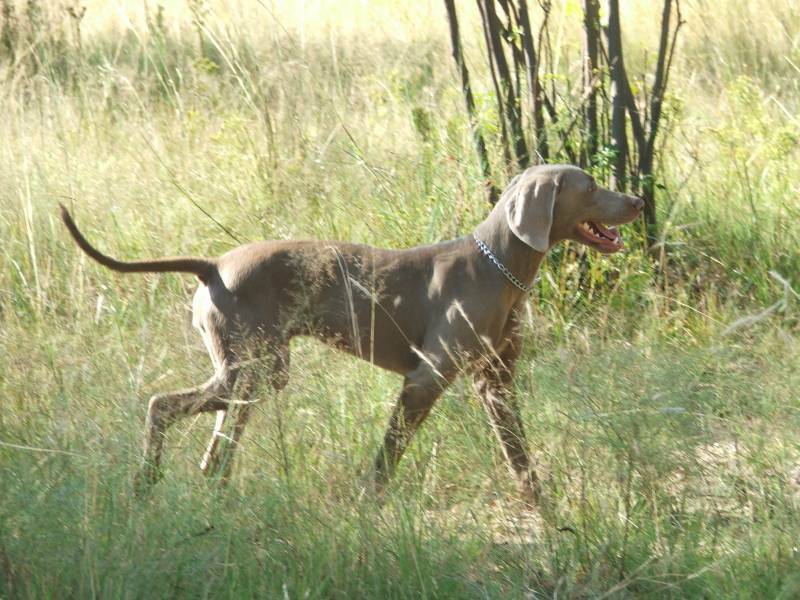 Her other brother Arthur recently passed his NSD and NRD at the first Cape Shooting Ratings in 2012 and he is also a Show Champion. Her sister Siska also passed her NSD test at the 2011 Shooting Ratings. 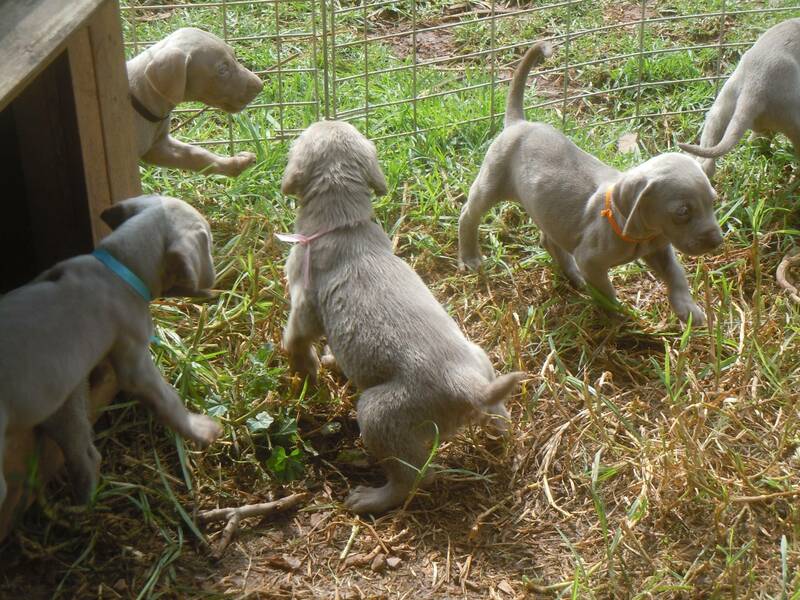 My puppies leave for their owners at 8 weeks. 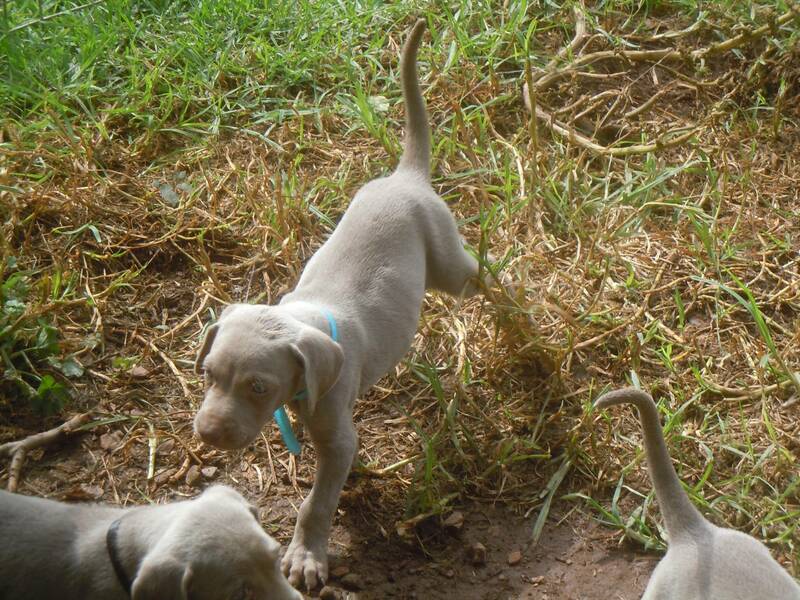 By that time they will have been dewormed 4 times (once every two weeks), received their first inoculation and had their microchip implanted. 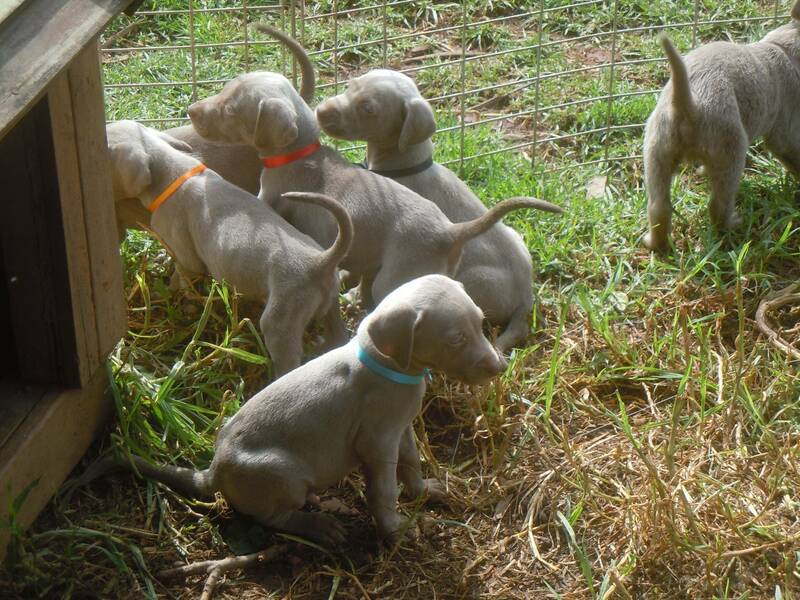 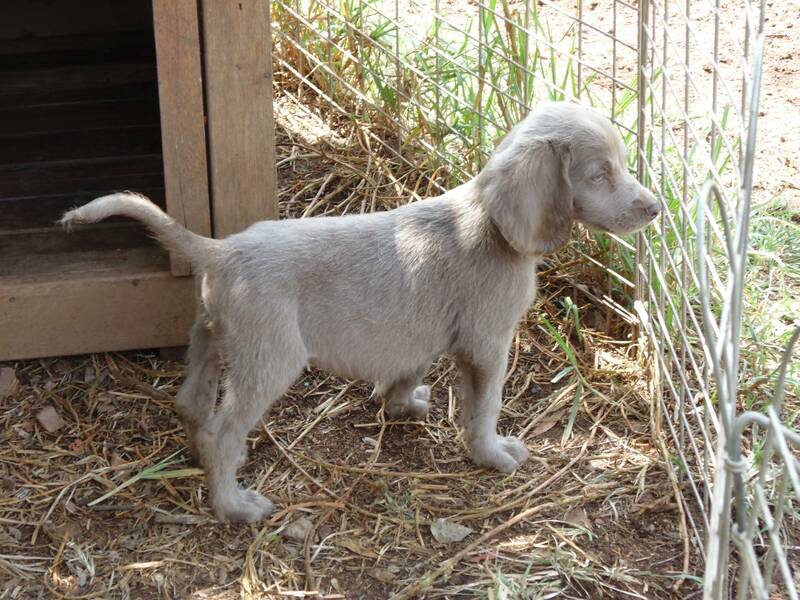 The puppies will be registered with Kusa and a pedigree will be supplied to the owner. 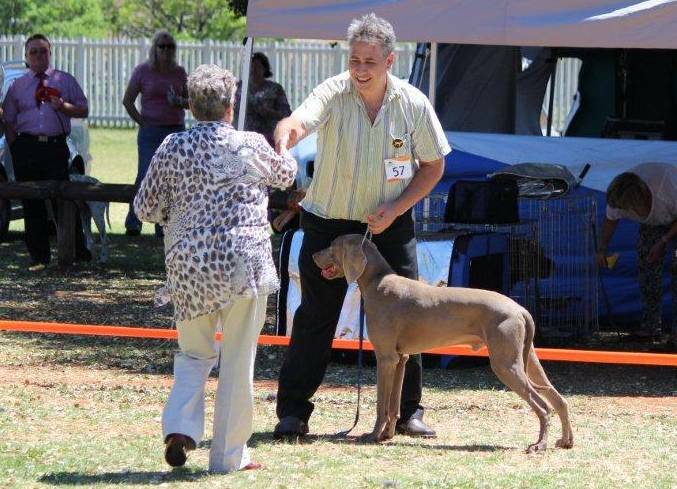 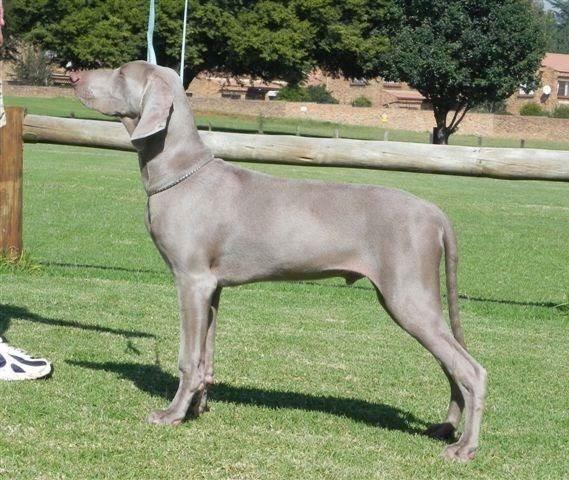 One of Leo’s sons from the Sabaka V Litter – Woljas owned by Renée Minny – passed his Novice Retriever Dog test and was also awarded Best Retriever.